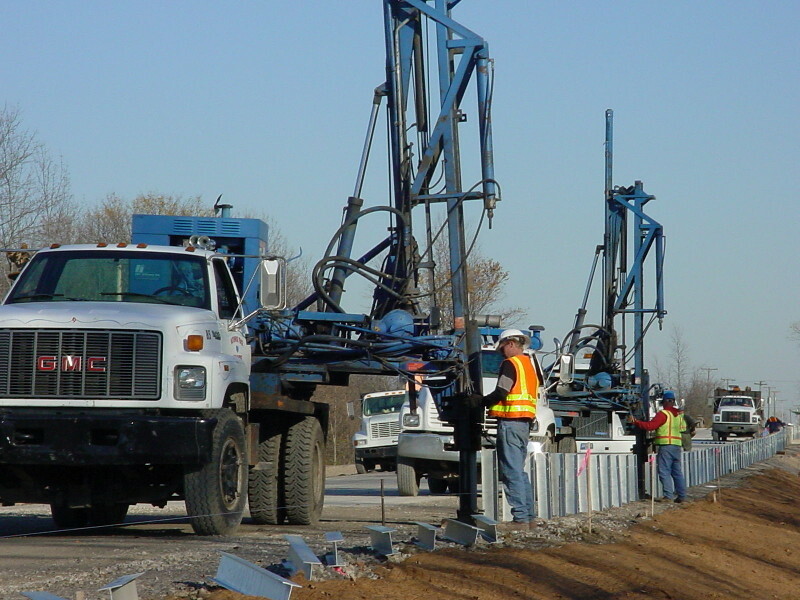 Whether your project site is an airport, prison, plant, along our nation’s highways or at a local business, our project managers and professional installation staff will build your fencing project to meet basic to the most strict fencing construction specifications. Our range of products include temporary and permanent chain link fencing, highway fencing, wood, pvc, steel and aluminum decorative fencing and other specialty fencing products. Temporary fencing is the perfect solution to add security to your construction site or special event. Our team of expert fencing project managers at Nationwide Construction Group are skilled in providing you the perfect temporary fencing solution to meet your needs. Nationwide stocks within it’s inventory, temporary fencing in a variety of styles such as movable panels, driven post and chain link, plastic orange construction fence along with variety of options for screening and gates for your project. We can ship the materials to your site for you to install, or provide one of our crews to perform the installation. Nationwide has been a successful highway guardrail contractor since 1988, and is currently pre-qualified or licensed to perform for State Departments of Transportation in 23 states. Nationwide’s highly trained ATTSA certified crews specialize in both new construction, as well as on call highway guardrail and cable guardrail maintenance work. Having installed millions of feet of traditional and cable guardrail systems over the years, Nationwide is highly regarded as one of the preeminent guardrail contractors in the country. Nationwide Construction Group has a variety of automatic gate systems to offer depending on your needs. From barrier arms, sliding gate operators, swing gate operators, vertical lift and pivot gates - Nationwide can design and install the system to your site specific needs, whether it is a parking lot or a maximum security facility. Nationwide offers a full compliment of accessories for your system including card readers, keypads, proximity readers, loop detectors, photo beams and gate locks. 24 hour service and maintenance is also available to keep your system functioning and secure. Nationwide Construction’s general contracting division, formed in 2007, has successfully completed multiple civil and commercial construction projects throughout the country. From pre-engineered buildings and specialty construction projects to civil construction, Nationwide has the experience and personnel to meet your most strict construction demands. As an experienced general contractor, we work closely with owners, administrators, staff, and communities to understand every aspect of the project. Our project team members are seasoned contractors who understand the constraints of sensitive environments. Nationwide Construction Group offers a wide variety of other services not listed above. Odds are if you have construction needs at your business, then Nationwide Construction Group can help. In addition to our other services, we have been called upon to fabricate railings and other hand rails, boardwalks, and many other steel fabrication projects. Please contact us today and speak with one of our project specialists to discuss your need. Odds are we can provide the service you require.